Let’s continue the Mutton Biriyani recipe of the previous post, with a balance of Salna – veggie gravy/stew and complete it in the next post with Aadu Vadhakkal – spicy mutton stir fry. ‘Salna’ – a unique delicacy that is served along with Biriyani, is a simple gravy to tackle any spicy variety rice. 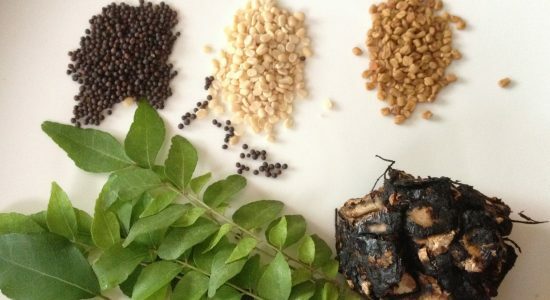 The tanginess of the Salna strikes a balance with the aromatic Biriyani. This is a tamarind curry, thickened with peanut-fennel powder. Peanut stands as a natural variant to the usual coconut based gravies of the south. Tried for the first time and voila.. turned out to be good. No separate pans, time consuming closed cooking here. Yes, the best part is, this dish is quite simple, as everything goes into the cooker and is cooked in no time. I concentrated so much on the making of Biriyani, that didn’t click better pictures of salna or mutton fry. Shall update with better pictures..at the earliest. 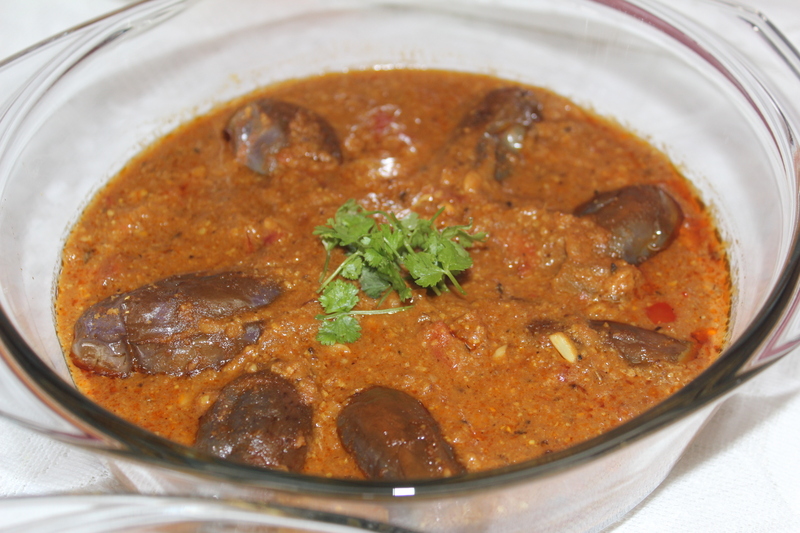 Wash and slit brinjal on top. 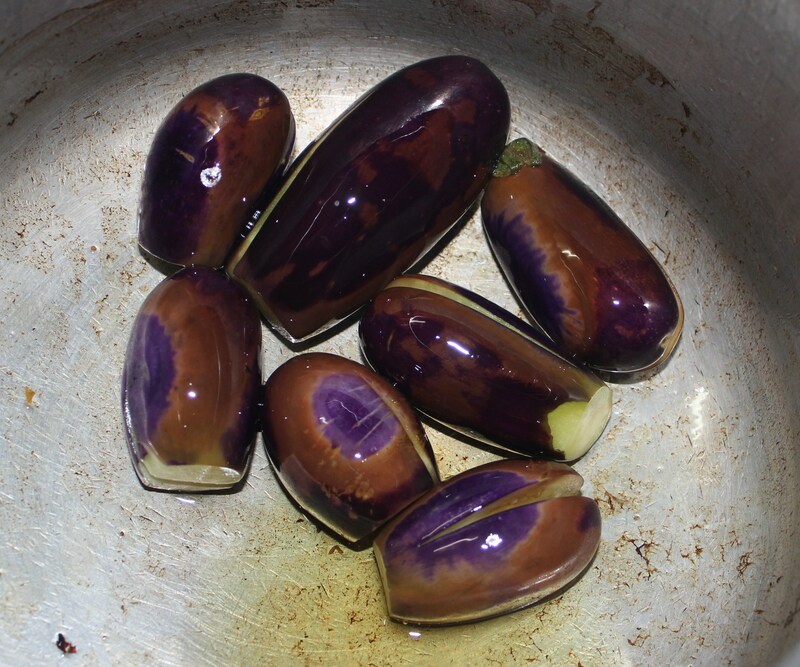 In a cooker, fry brinjal in oil. Remove and keep aside. In the same oil, fry ginger garlic paste. Add coarsely ground onion and fry till golden in color. Add tamarind pulp and powders and mix well. Then add peanut – fennel seed powder and stir well. Close cooker and cook in full flame for 2 whistles. Open the cooker once pressure is released by itself. 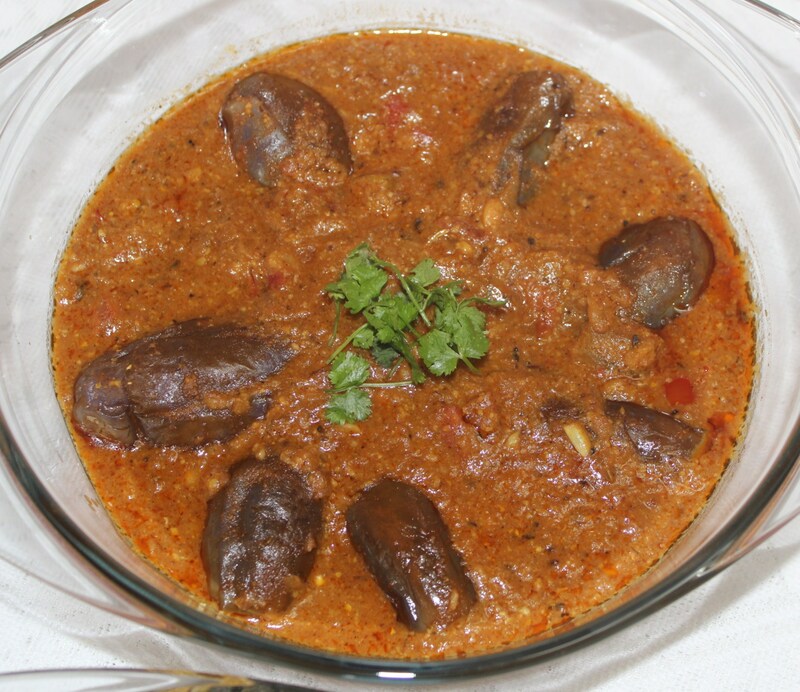 Kathirikkai (Brinjal) Salna is ready to be served.